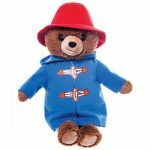 From the Movie Paddington, this My Name is Paddington soft toy is made from super soft plush and is wearing his signature red hat. 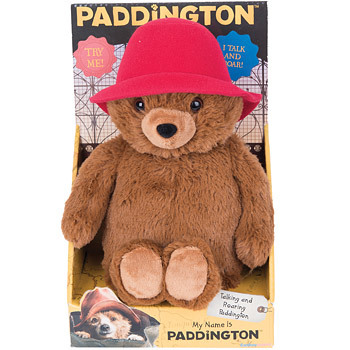 Press Paddington’s tummy to hear him say “Hello my name is Paddington” and “Roooaaar” just like he does in the movie! Hand wash only. Made from synthetic fabrics. Contains 3 x LR44 button cell batteries which are not replaceable.